The discussion about audio & video on “the network” is different when talking with someone within the AV or IT disciplines. We’re calling a time out. “The industry,” and those whom cover it, including AV Technology, have been sending premature congratulatory notes about the marriage of AV and “IT,” and birth announcements galore. 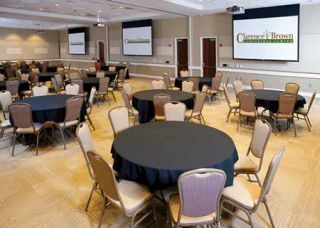 Metaphors abound, but the fact remains that some IT folks are unaware of what AV equipment resides within their facility, or about some of the benefits of a well-planned AV integration. It is also true that some AV folks are unaware of the impact an unplanned integration of network-capable, AV equipment, devices, and systems can have on the health of a network, and ultimately the organization. “AV on the network” is not an “on” or “off” discussion. The term itself seems to be up for interpretation. The definition of “AV on the network” could consist of a variety of technologies, each with different network and security requirements. The final implementation will ultimately be defined by the policies and people responsible for the health of the organization which they serve.The discussion of H.264 & H.265 is just one example of different priorities for tech department members, depending on the AV or IT perspective. Read more PoVs in our June 2015 Technology Manager's Guide to Networked AV.